Globally renowned emerald supplier Gemfields has been a pioneer in restructuring the emerald market. 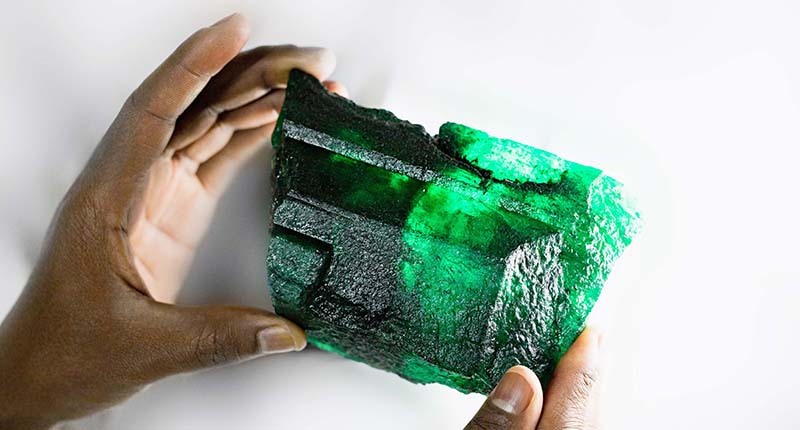 Recently the company made an incredible discovery of a 5,566 carat emerald that emerged from their Kagem mine in Zambia. This is one of the largest rough emeralds ever discovered, and is sure to be auctioned at a record high price. Gemfields has named the emerald “Inkalamu,” translated to “Lion Emerald,” dedicated to The Zambian Carnivore Programme and Niassa Carnivore Project. Both of these NGO’s work to save Africa’s carnivore populations. Ten Percent of the sales value of this beautiful crystal will be donated to these two organizations. The emerald is said to have remarkable color and clarity and will be sold at an auction in Singapore. The last rare gem that was named by Gemfields was “Insofu” or “Elephant” in 2010. This large piece is sure to produce some unbelievably sized gems that will make their mark in jewelry history. Learn more about this incredible emerald here!